Jesus' warning reverberates to us today. As today, the society in which Noah lived was wicked beyond belief! Our society today is even more wicked and depraved! Jesus' coming has to be very close! There are a growing number of people who have mistaken ideas about Christianity. Why? Because the media’s politically correct agenda has redefined historical religious terms. Meanwhile, liberal Christianity denies the supernatural and explains away anything miraculous. 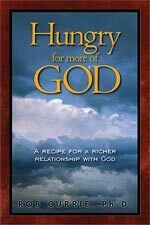 "Hungry for More of God - Recipe for a Richer Relationship with God"
Hungry for More of God explores not only our vertical relationship with God, but also addresses how our horizontal relationship with others affects our experience of God. 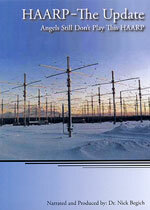 "Best of Cutting Edge Radio -- MP3 Program Assortment #3"
How this wickedness affects world events and leaders! 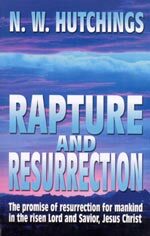 Great resource for anyone who doubts the Rapture of the Christian Church or who wants to be able to convince others. Surprising Confirmation of the Unfinished Pentagram Revealed In "Riddles In Stone" - New Caltex Oil Logo Parallels Street Design in Washington, D.C.! 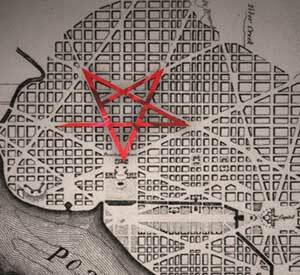 Viewers of the "Riddles In Stone" DVD uniformly declare that their favorite section in the entire video was our explanation of the nearly-completed Pentagram in the street layout of Washington, D.C., shown above, right. Not only is this unique street layout design just plain interesting, but 33rd Degree Masonic apologists have long held that this design is not a real pentagram because it is missing one segment. Their conclusion has always held that, since this Pentagram is not complete, it is not a Pentagram, but just an "art coincidence". But, in "Riddles In Stone", we prove that Black Magick Satanists have long used this type of pentagram missing this one link in their ritual ceremonies. Thus, the Masonic architect -- L'Enfant -- who drew up the street design, was deliberately using a most Black Magick symbol! Then, we point out the many other Black Magick symbols used throughout Washington, D.C., in street layouts, in monuments, in paintings and sculpture. We also quote Illuminati sources, proving that the major purpose in leaving one segment of a pentagram open is to allow demons to enter the pentagram! This symbol is simply pregnant with meaning and use within the realm of the occult. We also inform our viewers that Venus -- which is Lucifer in occult doctrine -- etches a nearly perfect pentagram in her 8-year cycle around the Sun. This pentagram is not quite perfect, for it is missing the same segment as the pentagram in the street layouts of Washington, D.C.! The reason the orbit of Venus is missing this segment is that the planet goes into retrograde movement in the last two days of the 8-year rotation! Thus, L'Enfant had Lucifer in mind when he designed this particular pentagram in Washington! Now, please take a close look at this modern pentagram, above, with one segment missing. 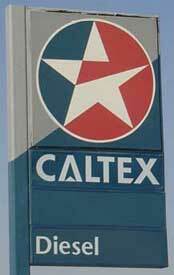 Caltex is the name for Chevron Texaco oil company in Africa. A Cutting Edge subscriber living in Namibia took a picture of this new logo standing in a service station parking lot. The pentagram to the right is a screen shot taken from the DVD, ""Riddles In Stone". Were this Caltex pentagram rotated to an upside down Pentagram, the missing segment would match the missing segment perfectly in the Masonic street layout! This startling revelation means that occultists today are still using this symbol just as they did 250 years ago! This symbol also reveals that the oil companies are controlled by Satan. 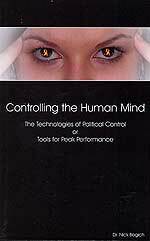 As our studies have proven, the Illuminati has controlled the oil industry since its very beginning, and are aggressively using its profits to move the world into the global New World Order. 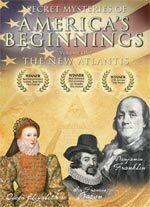 If you have not yet purchased this invaluable video series, "Secret Mysteries of America's Beginnings", or if you would like to purchase Volume 1 and Volume 2 for a loved one, a friend, or a co-worker, to spread the message contained within these award-winning videos, we are offering them on sale again. Most Christians have been taught in Sunday School and from the pulpit to dread standing before Jesus Christ when He is seated on His "Bema Seat", passing out rewards to His believers. Even though this is a Rewards Judgment Seat, where no condemnation can possibly occur (John 3:18 and Romans 8:1), Christians have learned to fear this encounter with their Lord and Savior, Jesus Christ. For this reason, this study is a breath of fresh air! You no longer have to be afraid. 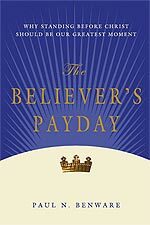 According to the scriptures, how a believer lives right now impacts the results of that "payday"—the appearance before the judgment seat of Christ. 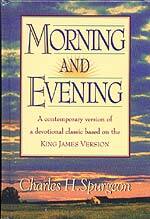 This subject of "rewarding," which was frequently discussed by Christ and his apostles, is critical for developing a Biblical worldview and for producing endurance in the Christian life. The believer's appearance before Christ does not affect his personal salvation, but it does greatly affect his life in the coming kingdom of Christ. 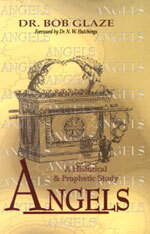 This study looks at the many scriptures that promise significant rewards to the faithful, diligent child of God. It also discusses the scriptures that warn of the possible loss of rewards while making it clear that the believer remains secure in his salvation. 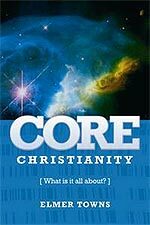 It focuses on the issues that will compose Christ's evaluation of his followers that are designed to both encourage us and challenge us to godly living today. The study also wrestles with the relationship of God's grace with the reality of sin and sin's effects and how these matters will be factored in at the Judgment Seat. 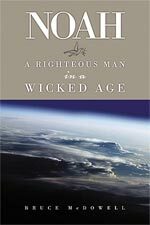 For the believer at these troublesome End Times, this is must reading, for both the mature and the new Christian believer. My Administrative Assistant, Chris Moore, and her husband, Al proudly announce the arrival of the newest member of their family! Nicholas Leo Moore was born yesterday, June 22 at 7:15 p.m. He weighs 8 lb. 10 ozs. Mother and baby are doing well. Please pray for this wonderfully Christian family. I. Since President Bush blamed the victory of the Hamas group in The Gaza Strip on Iran, American and/or Israeli preparations for a strike against Iran suddenly became major headline news this week. "According to DEBKAfile’s military sources, the US naval build-up off the shores of Iran marks rising military tensions in the region, accentuated by last week’s Hamas victory which has endowed Iran with a military foothold on Israel’s southwestern border. The USS Enterprise CVN 65-Big E Strike Group will join the USS Stennis and the USS Nimitz carriers, building up the largest sea, air, marine concentration the United States has ever deployed opposite Iran ..."
"DEBKAfile’s military sources report Washington is considering deploying the fourth US carrier for the region in the Red Sea opposite Saudi Arabian western coast to secure the three US carriers in the Gulf from the rear as well as the Gulf of Aqaba and Suez Canal." Thus does America concentrate massive naval firepower in the waters off Iran. However, given Russia's superiority in electromagnetic wave weaponry with their Scalar Weaponry, plus with their supersonic and hypersonic anti-ship missiles, the deployment of three full carrier groups in the relatively small Persian Gulf is troubling. Such a deployment was observed in the Persian Gulf during the Naval and War Games Exercise in the Persian Gulf in 2002. Using tactics and weaponry which Iran wields, the American Navy lost 16 ships, including one aircraft carrier during this war games exercise. While we are speaking about Russian superiority in supersonic and hypersonic missiles, let us review an article in which we see that the Indian Navy has just taken possession of the Russian designed supersonic missile. "New Delhi: The Indian Army yesterday inducted the BrahMos supersonic cruise missile India and Russia jointly developed, with President A.P.J. Abdul Kalam describing it a "world-class product" for the "international market" and urging scientists to work towards its second generation hypersonic version." Please note that this new Indian supersonic missile is just the first generation of high-speed anti-ship missiles. The next generation is the even faster hypersonic missile, which flies at over 2.5 times the speed of sound only a few feet from the surface of the water." [This speed amounts to almost 1,700 miles per hour, or 28 miles per minute]. The Russians have already perfected and deployed this next generation anti-cruise ship missile and have exported it to major powers like China (Read NEWS1449, "Has Russian And Chinese Missile Technology Doomed The U.S. Navy In The Upcoming Planned Third World War?" This current news story now tells the reader that the Indians are now producing their own supersonic anti-ship missile, using Russian technology. 4) Russian supersonic missiles which can be outfitted with a powerful nuclear warhead and shot up to a point above the fleet, and then exploded. The entire fleet could thus be destroyed in one explosion. Now, let us turn our attention back to the planned strike on Iran. "Israeli Prime Minister Ehud Olmert visited Washington yesterday and met with US President George W. Bush to finalise plans for a joint US-Israel strike on Iran's nuclear facilities. President Bush hinted that actions against Iran will form the core of their discussion ... Talking to reporters at a joint press conference Bush once again re-iterated his position on military strikes against Iran by saying 'I will tell you this, that my position hasn't changed, and that is all options are on the table'." "Olmert also met with Speaker Nancy Pelosi and Senate Majority Leader Harry Reid to obtain their broad support for military action against Iran. Pelosi's comments welcoming the Prime Minister indicate that he is likely to get the backing he is seeking from the Congress." The "Rumors of Wars" scenario is continuing to play to the world's press. However, at some point, this war of threats may actually turn physical. At that point, will America succeed? Americans have certainly continued to believe that our technology is unbeatable. I certainly hope that American forces do not meet with disaster. However, since the Illuminati Plan is to thoroughly discredit President Bush, we can only shudder to think that our attack on Iran might turn disastrously. As far as Israel's participation is concerned, she can only carry out bomber attacks against Iranian targets with the refueling capability of the American Air Force. One news source some months ago stated that the world will know an American or Israeli attack on Iran is imminent when intelligence detects American refueling aircraft assembling at American bases adjacent to Iran. Further, Iran is likely to order a full attack on Israel from Hamas, Hezbollah and Syria at the first hint of any attack. At this point, Israel will have her hands too full to aid the American attack. These are truly perilous times in which we live! Now, let us briefly examine this possible war against Iran from an Establishment source. "NewsMax Magazine’s blockbuster issue has just been released with major cover stories, including an exclusive special report by NewsMax contributing editor and Iran expert Kenneth R. Timmerman, 'Six Days to War', which lays out the scenario likely to unfold if the U.S. and Iran go to war. In Timmerman’s report you’ll find out why ;Six Days to War' could happen sooner than you think — as many American assets are already 'in position' for an attack." Indeed, American assets seem to be in place for an attack. But, we have seen these assets in place before, only to be quietly disbanded once the threatening public rhetoric had run its planned course. We can only wait to see what will transpire, and whether such an attack will be successful. Just remember, Iran is Ancient Persia, a country foretold in Ezekiel 38 as being one of the nations who will march with Russia at the End of the Age in an attack on Israel. She cannot be destroyed now, or damaged so severely that she no longer has a military which can march with Russia. 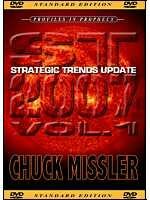 Additionally, Russia is foretold to be the commander of this invading force; therefore, her technology right now cannot be embarrassed by an American and/or Israeli victory, for none of the other nations prophesied to be marching with Russia will have the confidence in Russian forces necessary for this attack to materialize. These next few months could be highly interesting! II. With the Middle East already on fire diplomatically and religiously, the Saudi King issued a warning which all people should take very seriously, and which may speak to the fulfillment of a key Biblical prophecy. NOTE: Before you read this section, please take a few moments to read our current Headline News article, NEWS2213, "President Bush's "New Middle East Map" Is Enraging Friends and Foes Alike -- Is Likely To Spark The Planned World War III". Once you read this article, you will be better prepared to understand the concern of the Saudi King that the entire Middle East is about to erupt into the flames of all-out warfare! The King should know, because he undoubtedly is not prepared to relinquish all his sea ports, plus his control over the Islamic sacred sites, plus much of his land to Yemen, Jordan, and the newly-created Shia Iraq! Now that you have read NEWS2213, you can understand the importance of this next news article. "Riyadh: The Saudi king has warned of an impending 'explosion' in the Middle East saying that it will not only affect the region but will spread all over the world. 'The Middle East region suffers from the longest conflict in our contemporary history which is the Palestinian-Israeli conflict and Israel's occupation of Arab lands' ... we are witnessing an expansion of the crisis to include other countries like Iraq and Lebanon," he said. 'This makes the region replete with troubles that pose grave concerns for us. My fears are the fears of all reasonable men that the explosive situation will not be confined to the region but will extend to the whole world', he said." 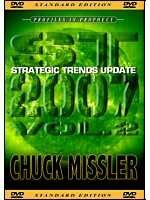 As I stated, above, the Saudi king certainly knows of President Bush's New Middle East Map (NEWS2213), so he is most assuredly aware that America intends to forcibly implement such a huge re-making of the Middle East map through the force of its arms that these plans will spark a regional war which certainly could expand to the rest of the world. The king knows that Iran, Turkey, and his own Saudi Arabia simply cannot and will not tolerate lands being taken from them and given to others, all at Washington's whim. Now, let us examine the Biblical prophecy to which the king's prophecy seems to speak. 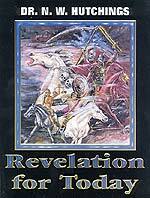 We turn to Isaiah 13, which is God's End of the Age judgment against Iraq (Ancient Babylon). 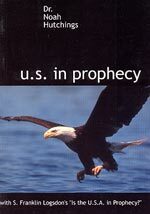 Please take the time to read, NEWS1787, "IF -- IF This Iraq Invasion Is God's Final End Times Judgment Upon Iraq, Events Will Occur According To The Prophecy - Isaiah 13:1, 4:22"
This is the prophecy which I believe may very soon transpire. God expands His fierce anger in judgment from Iraq outward to include the whole world. God says he will act with fierceness and "raging anger" and will destroy both the "land" -- Iraq -- and then the "whole earth". 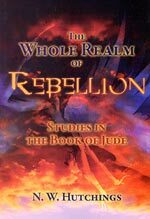 Thus, the progression we see in Joel 3 and Obadiah 16 -- from one nation to another, each being physically judged/destroyed in their own turn, is in view here. God begins His judgment with a specific nation, or region, but then expands out His judgments to include others, until He has reached the entire world. Notice the clear progression here -- 1) God brings End Times judgment against Babylon, which is modern-day Iraq. This judgment is unparalleled in ferocity and violence. The entire country ("land") will be made desolate. 2) God then seamlessly proceeds from the utter destruction of Iraq to the utter destruction of sinners in the world, destroying all sinners from the world. Coalition Forces -- led by President Bush -- have utterly destroyed Iraq, especially with its toxic Depleted Uranium munitions. Now, God's next step is to proceed to the rest of the world, similarly destroying the sinners. Once you understand this prophetic progression from Iraq to the rest of the world, you can see how this global Divine Judgment can resemble a rock being thrown into a pond. Ripples immediately begin to flow from the center, where the rock was thrown, and if powerful enough, can extend all the way across the pond in all directions! The first rock to be thrown was against Iraq (Ancient Babylon). Current news makes it seem like the ripples are about to start flowing in all directions all across the Middle East and across the world. 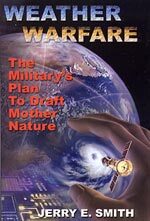 Certainly, the Illuminati plans such a ripple effect, as they plan for wars between Israel and her Arab enemies, then a nuclear confrontation on the Korean Peninsula, and then a Chinese attack on Taiwan -- plus, all along this time spectrum, terrorist attacks are going to be carried out against major cities of all Western nations. For this reason, I believe that all talk of an American withdrawal from Iraq is just that -- talk. God is about to seamlessly expand His Divine Judgment against Babylon (Iraq) to the rest of the world. Apparently, the first war beyond Iraq will be Israel against her Arab enemies. III. In Israel, the radical group, Hamas, seized full control of The Gaza Strip, brutally crushing Abbas' Fatah group. War signs truly began to emanate from all parts of this Israeli front. A. Israel plans an attack on The Gaza Strip "within weeks". "ISRAEL’s new defence minister Ehud Barak is planning an attack on Gaza within weeks to crush the Hamas militants who have seized power there. According to senior Israeli military sources, the plan calls for 20,000 troops to destroy much of Hamas’s military capability in days. The raid would be triggered by Hamas rocket attacks against Israel or a resumption of suicide bombings." B. This next story clearly indicates that Iran's "lighting many fires" against America and Israel has finally come to maturity. "Israel is now boxed in between three pro-Iran entities (Syria, Hezbollah and Hamas) and two pro-al Qaeda terrorist groups — Hezbollah that is dominant in Lebanon to the north and Hamas that now controls Gaza ... Both are sworn enemies of the Jewish state." ",,, Hamas has all the automatic weapons, RPGs, rockets and ammo it needs, presumably smuggled in and captured from the defeated Fatah militia. Hamas also collected arms supplied by the United States to the PA's presidential guard ... "
The rest of this article deals with the American struggles in Iraq, and how Iran is clearly winning that war by fighting America through proxy forces. The gist of this article is that Iran has now successfully boxed Israel in geographically, between Syria, Hezbollah and Hamas, and has successfully checkmated the United States. Can Iran's threat to "wipe Israel off the map" be far behind? C. When foreign governments begin taking the lead in evacuating their own citizens from a future war zone, that action is considered a "war sign". "... Israel is allowing all foreign nationals to leave Hamas-controlled Gaza and enter Israel, an IDF spokesman said. Military spokesman Shlomo Dror said any foreign national wishing to leave Gaza was allowed to do so in coordination with their embassy." Whenever foreign nationals begin to flee an area in which all-out hostilities are about to begin, they invariably do so with the cooperation and the leadership of their government. The intelligence service of their own government is warning that the situation is about to deteriorate into war, and would threaten the lives of their citizens in that zone. Therefore, it is not uncommon to see that these foreign nationals fleeing The Gaza Strip are doing so in coordination with their embassy. Let us review the rest of the story. "At midday Wednesday, buses brought some 90 Ukrainians from Gaza into Israel, and more foreigners were expected to enter later in the day ... More than 100 foreigners have left Gaza since Hamas seized full control there last week ... On Monday, the Russian government said it planned to evacuate 120 Russian nationals from Gaza, according to a report from the Interfax news agency. The report said the Russians were mostly women married to Palestinian men." Foreign governments committing resources to get their own citizens out of an impending war zone is one of those "war signs" for which military intelligence analysts are trained to watch. D. Israeli Civilian shelters are again declared not ready to protect citizens should war break out. "Right after the war the government promised huge budgets to rehabilitate the north, but shelters there are still not fit for prolonged occupancy. Promises were made to reinforce hospitals in the north, but not a single shekel has been provided ... An investigation by Yediot Ahronot found that most shelters in the north are far from being ready for the next war." When a nation is not ready for war, they can easily invite attack. For the past year, Cutting Edge has been bringing to our reader's attention all of the ways in which Israel is projecting unparalleled weakness to her Arab enemies. From the disappointing 33-day war in Lebanon in July - August, 2006, to the Winograd Report on that war, to stories like this, the Arabs have been firmly convinced that Israel is uniquely weak right now, and thus very vulnerable. Why do I think the Arabs have bought into this "unparalleled weakness" story? 1) We have been watching the Israeli government refuse to respond aggressively to attacks from the Palestinians -- from Prime Ministers Rabin, Peres, Netanyahu, Barak, Sharon and now Olmert. These Prime Ministers would order the IDF to rocket empty buildings in response to a Palestinian suicide or rocket attack. Or, the IDF would notify the Palestinian occupants that their building is about to be rocketed, thus giving them time to escape. 2) Islamic strategists seem to uniformly believe that Hezbollah did, indeed, beat the IDF in the 33-day Lebanon War of 2006. The Winograd Report -- produced by a retired Israeli judge -- reinforced this opinion. 3) Because Syria moved key elements of her Army to the Israeli - Lebanese border the day after the critical Winograd Report was issued. With the Arabs perceiving Israel as being uniquely weak right now, an Arab attack is very likely. E. Prime Minister Olmert treks to the White House just as these war signs are multiplying. "At their joint news conference in the White House Tuesday, June 19, the US president George W. Bush welcomed the chance to work with Israel on a common strategy to fight off and defeat extremists." What would make Olmert leave Israel at this most dangerous time? We wonder if he needed to meet with President Bush to ensure that they were "on the same page" as to what actions and reactions each should take should war break out. E. Syria has closed all border crossings with Lebanon but one. Closing border crossings is considered a war sign because no military commander wants civilians to be in his way when he launches his attack. Let us consider this news story. "BEIRUT: Industrialists, farmers and economists on Thursday warned that Lebanon will suffer grave economic consequences if Syria shuts down the border crossings ... The prospect of a full land blockade on Lebanon surfaced again when Syria closed the border crossing at Qaa, in the northeast of the country ... The only crossing point that remains open now is in the Masnaa area in the Bekaa Valley." All told, the war signs continue to multiply. Hamas continues to fire Kassam terror rockets into Israel, while Hezbollah fired three rounds of 107mm Katushka artillery into a town in northern Israel. When you see 20,000 Israeli troops attacking into The Gaza Strip, you will know that this war has probably begun. 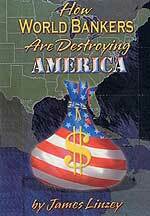 On December 10, 1996, a House Committee issued a report to the full Congress as to how American Intelligence believes the manner in which the next Arab-Israeli War will begin. "Within Israel and on its borders, Arafat's 'Palestinians' will cause planned havoc ... In this coming war, Arafat's Palestinian Arab Police, in coordination with Hamas, will begin blowing up key targets, road junctions, preventing mobilization of Israel's civilian reserve soldiers from reaching their units at the front. In Judea and Samaria, roads will be mined and Israeli access blocked by shoulder-fired anti-tank missiles now smuggled in under the benign neglect of the government of Israel." "This low level conflict is intended to tactically hinder Israel's heavy battle armor and artillery from reaching the Jordan Valley, where a coalition of Arab armies will advance under their mobile missile umbrella ... The entire West Bank under Arab control will act as a barrier to delay mobilization of Israeli forces, allowing Arab forces to spread out and move west toward Jerusalem ... During these internal assaults, Syria, Iraq, and Iran will launch a mix of missiles at Israel's cities and military targets. Egypt has been accumulating Scud missiles from North Korea, and is likely to join the salvo. Israeli civilians make up most of the standby reserve military, and, therefore, hitting the cities can be equally effective as hitting a prepared, hardened military target. Airfields will be targeted by missiles with sub-munitions (small bomblets) which destroy runways, to keep Israeli aircraft from taking off or landing. Missiles may be loaded with gas and chemicals so the runways could not be quickly repaired, and killing troops and civilians." This current state of news sounds suspiciously like this Arab plan of 1996 is now being set in operation. While the Hamas Palestinians are now firing rockets and some artillery fire into Israel, thus pulling in the Israeli Defense Force into the Gaza Strip, Arab missiles are pointing at Israel at all points along her border -- from Lebanon, to Syria, to Egypt. If Israel really does attack with 20,000 troops, as the Times Online article, above, states is planned, this entire war scenario, explained above, might just explode. Once Israel is engaged at all points on her border with her Arab enemies, we would expect that Coalition Forces in Iraq might be attacked, thus setting the entire Middle East on fire. 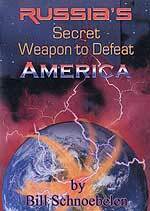 That would begin the planned World War III, out of which the Masonic Christ (Antichrist) will come striding. IV. Remember the fighting between the Lebanese Army and Palestinian militants in that refugee camp in northern Lebanon? It lasted exactly 33 days! The Lebanese Army announced yesterday that it had finally crushed the upstart Palestinian militants within that camp. Notice the really interesting timing reported in this news story which indicates that this battle was waged in support of the coming New World Order! "Lebanon's defense minister said Thursday that the 33-day war against an al Qaeda-inspired group held up in a north Lebanon refugee camp was over. The fighting between the army and militants in the Nahr al-Bared camp was the worst outbreak of violence in Lebanon since the end its civil war 17 years ago and cost the lives of at least 166 people. 'The military operation is over…the Lebanese army has crushed those terrorists', Defense Minister Elias Murr said in a television interview late Thursday ... 'What is happening now is some cleanup and dismantling some mines… the Lebanese army has destroyed all Fatah Islam positions and is combing the area', he said." Can you imagine this exact time limit? This battle raged for exactly 33 days! Remember the Lebanon War of last July - August? That war also lasted exactly 33 days! Please read this startling fact in NEWS2148, "Israel Halts War Against Lebanon On Day #33!" What is the significance of these two wars lasting exactly 33 days? This number is "11x3", one of the most important numbers in the entire world of the Occult. 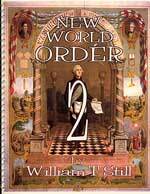 Let us review this numeric truth right now, quoting NEWS1766, "Masons and Other Occultists Revere The Number '33' Above All Other Numbers: Many Acts of War, Murder, and Assassination Have Occurred On Or Near The 33rd Degree Parallel". But, beyond this geographical fact, the number "33" is so very important to the occultist because these people believe that certain "sacred numbers" carry inherent power. Satanists believe that a carefully planned event must be carried out according to the correct numbers, or it may not be successful. They go to great lengths to make an event occur according to the correct numbers. This number "33" stamps the entire operation as "Illuminati" -- just as we have been saying from the beginning! Timing the war to last precisely "33" days constitutes an "Occult Signature" on the event. Occultists throughout the world will realize that this battle was carried out because it was important to the overall Illuminati Plan. If leaders in this region did not understand the inherent weakness of the Lebanese Army before this 33-day battle was waged, they understand it now. Further, Lebanese officials understand this principle quite well. Now, they will not even be tempted to enter the fight against Syria and Hezbollah once they start their attack on Israel. The only question mark which now exists is whether the UNIFIL peacekeeping force in southern Lebanon has to be removed before hostilities can commence. The French portion of this force is formidably armed and commanded, so I would think UNIFIL will have to be diplomatically forced out before the war can earnestly begin. The easiest way to accomplish this goal might be to overthrow the current Lebanese government, replacing it with a pro-Syrian government. At that point, the Lebanese government could demand that the United Nations withdraw this force, a demand the world body is likely to honor. If you see reports that the UNIFIL force is withdrawing, you can rest assured that war is imminent. I wonder if another 33-day struggle is impending to force UNIFIL out? V. My blood ran cold when I read this next news story, for the plight of all poor nations which cannot integrate their economies quickly into the cashless global economy is quite deadly. 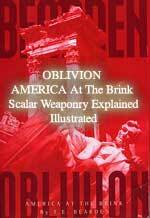 In fact, the Illuminati intends to destroy all backward nations with some form of WMD during the 91-day World War III. Let us review the sorry state of the continent of Africa. "LILONGWE, Malawi: The world is getting smaller all the time. Information, placed at our fingertips by technology, is driving massive and accelerating change ... Life in this city provides a vivid illustration of the fact, however, that in Africa, the globalization of our imagination is just that - an imagined thing." "What cannot be said with confidence is that this out-of-the-way country in southern Africa has hitched itself to the broader current of change sweeping the world. And while some may celebrate the persistence of quaint backwaters like this, for an Africa that is falling behind the rest of the world, insularity only compounds matters ... "
"This discussion of globalization and its sputtering failure in Africa might very well have begun with the Internet, access to which is treated like a rare and expensive privilege in country after country in the world's poorest continent ... Ditto for mobile phones, which are indeed spreading rapidly on the continent, but are still so costly that they have only a fraction of their potential impact in connecting people to each other and to the outside world." "Africa is paying a painfully high price for its failure to educate its people ... Mali, for example, where only roughly 19 percent of adults are literate ... To paraphrase a nugget from former Prime Minister Junichiro Koizumi of Japan, tragedy always follows in the wake of isolation. Africa has been living in extended isolation now for a very long time, and the tragic consequences are there for all to see." However, the real tragedy is that the Illuminati fully intends to annihilate all nations who are hopelessly behind in their modernization efforts. Furthermore, the Illuminati is radically radical racist. In my research, I ran into the awful statement made by a former American intelligence operative that, once the New World Order was established, there would be no room for the blacks! With this in mind, let us consider the fate which the Illuminati has planned for such backward countries as those which populate Africa. 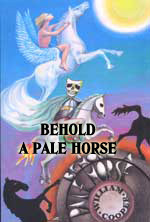 Former Satanists have told me that more people will die in this 91-day Third World War than in World Wars I and II combined! You see, people are going to be so preoccupied with wars raging in the Middle East, and on the Korean Peninsula, and China invading Taiwan; they will be further preoccupied with terror attacks on their own population centers, some of which will be by Weapons of Mass Destruction. They will be worried about being arrested and thrown into a concentration camp. 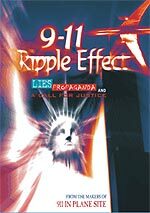 At this time, do you think very many people will even notice that the Congo and Zimbabwe have been annihilated? For that matter, will the Mass Media even carry such stories, for they have long been controlled by the Illuminati? This news story clearly illustrates the deadly danger such African countries are in right now, as the Illuminati plan rushes toward completion. VI. Turning our attention back to Israel for the moment, we can see that Israeli public opinion is beginning to turn against the Palestinians so much that the Israeli government can undoubtedly annihilate them all without a huge internal public outcry. For those of you who are not yet aware of the Cutting Edge teaching that today's Palestinians are descendents of the House of Esau and are prophesied to be annihilated, please take the time to read our latest article on this subject, NEWS2095. Now that you know that God has prophesied in Obadiah 15-18 and Isaiah 34 that He will use Israel to deliver His final annihilating End of the Age judgment against the House of Esau, let us examine public attitude in Israel which will allow this type of annihilation. "Levy mournfully cites quote after quote from Israeli racists calling for the slaughter of Palestinian Arabs. Caspi breathes this hatred among Israeli elite, while advising them on the law. Israel’s religious shepherds also preach such bloodlust. Former Sephardi chief rabbi Mordechai Eliyahu recently wrote Ehud Olmert to counsel that all Gazan civilians—men, women, newborn babies—are collectively guilty for rocket attacks on Israel. He said the Jewish state is morally entitled to kill them all." "Eliyahu’s son, also a rabbi, spoke to press about his father’s views. 'If they don't stop after we kill 100, then we must kill a thousand', he said. 'And if they do not stop after 1,000 then we must kill 10,000. If they still don't stop we must kill 100,000, even a million. Whatever it takes to make them stop." When the lawyers, the politicians, and the religious leaders of a nation agree upon any single source of action, the people are generally persuaded. What better way to convince the people of the need to annihilate the Palestinians than to do nothing while Palestinian militants are firing rockets through their homes, shooting Jews on their roads and in their homes, and murdering babies in their cribs? Senseless suicide attacks in public places has also hardened the hearts and minds of the average Israeli citizen. The Palestinians had better beware that, not only have the leaders of Israel decided a long time ago to annihilate them, but now the citizenry is being mightily persuaded that this is the only logical end to this seemingly endless struggle. What did God say in Joel 3? 1. "Massive Intelligence Failure - Hundreds of Thousands of CIA/Israeli Super Secret Intelligence Files Fall Into Hamas Hands In Gaza! May Be Worst Intelligence Failure In History of Western Intelligence"
2. "President Bush's "New Middle East Map" Is Enraging Friends and Foes Alike -- Is Likely To Spark The Planned World War III"
3. June 13 - The Day All Three Middle East Hotspots Exploded -- "The Middle East Is On Fire"
We are told in 2 Thessalonians 2:11 that God is going to send “strong delusion” upon the world when the antichrist comes into power. Has that prophesied time almost here? 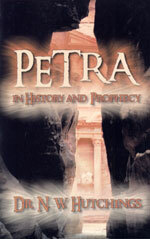 Once you understand this prophecy as to where God will protect Israel's elect, you can see how events are propelling Israel toward Petra. Six (6) long years later, the world is still reeling from the after-effects! A look at the disasters which have flowed from this one planned disaster! 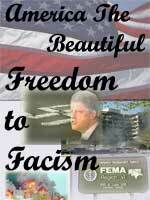 America IS Marching Steadily Toward The Same Fascist State As Established By Adolf Hitler! 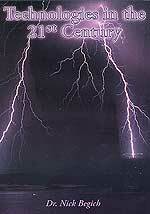 World War III is about to explode exactly as foreseen in this demonic vision of 1870! Sounds Like Your Daily Newspaper!